Lake Ohrid is Europe's oldest permanent body of freshwater, and as expected exhibits a high level of endemism, particularly among its invertebrate fauna. Our motivation for beginning studies on this lake stems from reports of intralacustrine forms of brown trout, which are presumed to exhibit both temporal and spatial segregation in their reproductive behaviour. 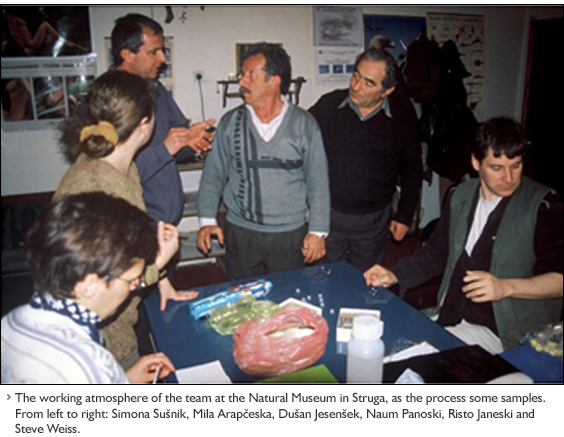 Field trips to Lake Ohrid were made in the framework, of Slovenian-Macedonian and Slovenian-Austrian bilateral research projects and of a Marie-Curie post-doc fellowship to Simona Sušnik under the supervision of Steven Weiss, at the Karl-Franzens University of Graz, Austria. 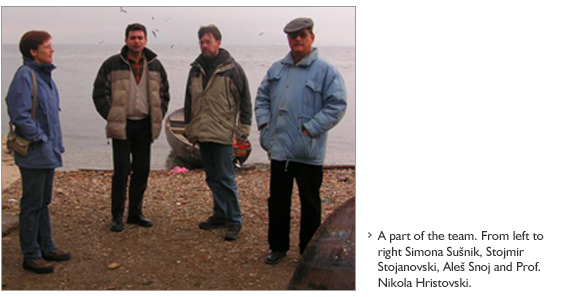 We visited Lake Ohrid on two occasions (in Feb. and Dec. 2004), with organizational assistance provided primarily by Prof. Nikola Hristovski, from the University of Bitola, Macedonia. On both occasions fish were purchased from fisherman on the shores of Lake Ohrid. 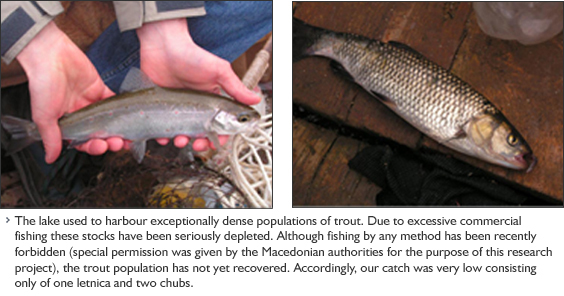 Our research efforts have been additionally enhanced by cooperation with Iain Wilson in Albania, who has undertaken allozyme analysis (Wilson 2004) of Ohrid trout and has preserved samples of the same individual fish for DNA analysis. Analysis of all these samples was integrated into both existing GenBank information on the Adriatic lineage of brown trout, as well as additional published and unpublished data from surrounding regions produced by cooperation among various members of the Balkan trout restoration group.